Immigrants in removal proceedings can move to terminate proceedings if ICE has engaged in conduct that is consciousness shocking or violates fundamental rights. ICE’s widespread practice of courthouse arrests meets this standard, and therefore IDP encourages respondents who were arrested in or around a courthouse to file motions to terminate proceedings. This amicus brief is intended to supplement such motions with information about ICE’s pattern of courthouse arrests, and legal argumentation that this conduct is unlawful and warrants termination. Violate the centuries-old common law tradition which rejects civil arrests in courthouses so as to protect the effective administration of justice in the courts. Violate the constitutional right to access the courts. Violates the Tenth Amendment because ICE is a federal agency interfering with the functioning of state courts and taking advantage of state resources. 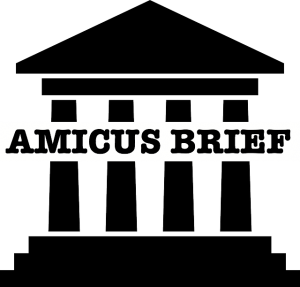 For more information about the IDP Amicus Brief, please contact Sarah Taitz, [email protected], and Jane Wang Williams, [email protected]. In early June 2018, the New York State legislature introduced the Protect Our Courts Act (A.11013/S.08925), drawing from IDP’s legal research and analysis, developing one of the most protective pieces of state or local legislation in the country to respond to and impose legal restrictions on federal civil immigration arrests of individuals who are attending court. We have developed The New York Protect Our Courts Act: Model Legislation to Regulate ICE at State Courts to encourage legislators and advocates in other jurisdictions to take similar action, using New York’s bill for guidance. A two page advisory on how to advise immigrants on the risks of ICE enforcement in the courts.